In a world where people are only able to tell the truth, an unsuccessful screen writer gets fired and becomes on the verge of getting evicted. No one is able to tell the truth which results in a series of harsh (a bit too) honest remarks about his weight, appearance and steadily declining social status. The exploration of a world, where no one is able to lie has a fantastic potential for a surreal and eyeopening plot. Unfortunately this is only delivered half way. It has some interesting perspectives, but they are lost when supplied with a bit too lame humor. Not being able to tell a lie does not mean you will have to blurt out your most rude thoughts as any given opportunity. The plot also changes too fast from the introduction to the life of a regular loser's everyday life to the exploitation of his new abilities. I would have loved to see more of the world absolutely free of lies. The acting is fairly good and the characters are nicely cast for their parts. 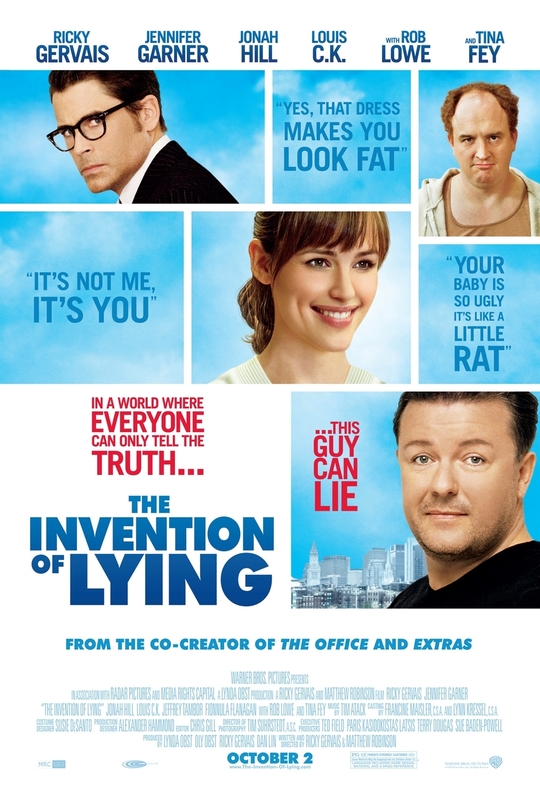 Ricky Gervais is convincing as a fat looser (sorry), and does a good job as a beautiful but shallow young woman. Rob Lowe is also very good as the office creep. In general an acceptable comedy, but the letdown due to a not fully explored plot combined with lame humor pulls my rating down below average.